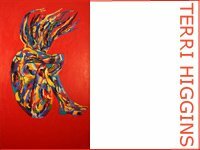 "Chaos into Light: A Solo Exhibition of Paintings by Valerie Ng"
Turning �chaos into light� is Valerie Ng�s main focus for her new series of artworks. She continues her interest in movement on a surface, through an exploration of colour and action in her strokes. Based on the chaos theory, that one slight change might cause a significant impact elsewhere thus the act of painting goes with layers of subtle additions that build up to form a whole. In the process, never quite knowing where each mark will lead or what effect it will have on the overall state. The best results come from not deliberating too much and letting the piece intensify with the flow, veering between chaos and clarity, to explore the dynamic properties of movement and light. Characteristically, the marks bear a determined order yet exercise a balance despite the randomness of colours. Streaks of lighter hues inject a certain atmosphere in order to transform the energy or the action of painting into something of interest to observe, and perchance enlighten, a different mood or reaction from the viewer. Included in this exhibition are oil paintings as well as mixed media pieces of collage or papier-mache which extend the tactile qualities of the artworks. Largely self-taught, Valerie Ng has always enjoyed painting and creating art. She took up painting seriously in 2002 after attending the Alternative Foundation in Fine Art, at The Slade School of Fine Art, University College of London. Her abstract paintings are created as a result of explorations in colour, form, texture, depth, mood and movement on a surface. She won the First Prize (Abstract Medium) in the UOB Painting of the Year 2004 and has recently exhibited at Art Singapore, the Wetterling Teo Gallery (Solo Exhibition) and the Jendela Gallery in 2005. Her paintings can be found in private and corporate collections locally and overseas. A Malaysian based in Singapore, she is currently a resident artist at Instinc gallery and studio. Housed in a quaint Peranakan shophouse on historic Emerald Hill, this artist studio-and-gallery is a step and a hop away from the main shopping artery without all its hustle and bustle. It�s a cool, soothing enclave that�s perfect for appreciating and creating art. Come to admire (or critique!) the artworks, chat with the artists-in-residence or participate in art workshops. Instinc is no highbrow, stuffy commercial gallery, but a casual, inviting space where viewers are encouraged to come and �smell the paint�, as it were, and discover the thoughts and processes behind the artists� works.